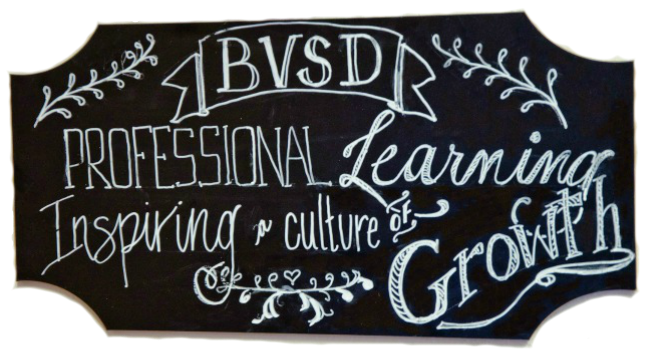 BVSD Professional Learning believes every employee should have access to quality professional development opportunities that are aligned with BVSD’s values and goals to support student success. We are dedicated to being an inspiring, engaging, and comprehensive resource that brings together innovative practices, mentoring, and support. We promote professional development that supports employees in three ways: mastery of required skills and knowledge needed to perform job responsibilities, job enhancement and fulfillment, and career advancement. Fueling learning, discovery, and advancement in all of our employees is the best way to support a culture of growth for all.